The KidSpirit Gymnastics Exhibition is an annual performance that includes a group performance with dance choreography and gymnastics skills performed on the gymnastics floor prior to an OSU Women’s Gymnastics meet. This year's meet will be against UCLA on Saturday, February 2nd, 2019. Gill Coliseum doors open at 10:30 am. Gymnasts ages 4-12 are welcome and all will receive a leotard or t-shirt, a ticket to the event, and a phenomenal experience out on the floor! Cost for the exhibition is $50 for all gymnasts. Gymnasts must attend TWO practices in addition to our Mandatory Dress Rehearsal. These practices will be for rehearsing the choreography and gymnastics skills to be performed. You may select the two mandatory practices that you would like to attend during registration. All practices are held in the Gymnastics Room: Langton Hall Room 310 at OSU. Participants are welcome to attend all practices. The exhibition is a flat rate, choosing more or less practices does not affect the price. During practices, gymnasts will rehearse the gymnastics skills and choreography with KidSpirit instructors. Parents are welcome to stay and watch. We encourage gymnasts to become familiar with the choreography before arriving to practice as well as to practice at home. You may also find the link to the video on our Facebook Page. Please wear clothing free of zippers and buttons. No shoes or socks on the floor. No jewelry such as rings, dangling earrings or necklaces. 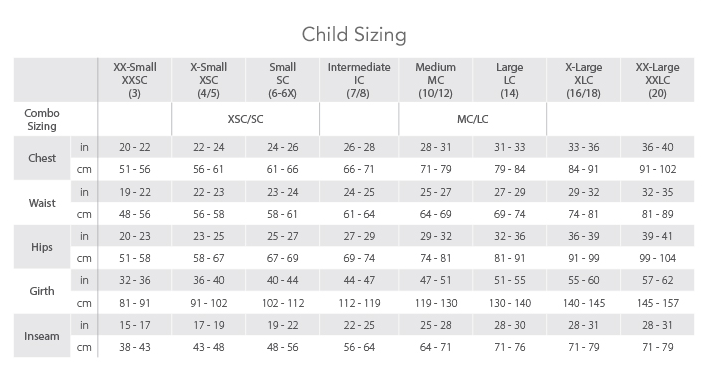 Leotard sizes: Child Extra Small, Child Small, Child Intermediate, Child Medium, Child Large, Adult Small, Adult Medium. 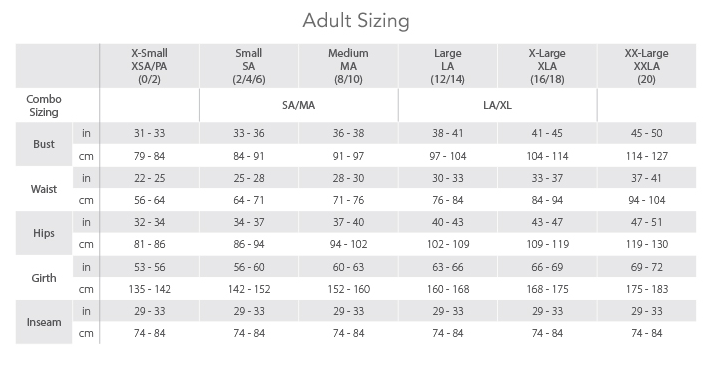 You may reference the size charts below to get a better sense of which size will be best for your gymnast. We will have leotards available at the required dress rehearsal for the gymnasts to try on and wear for the day of!